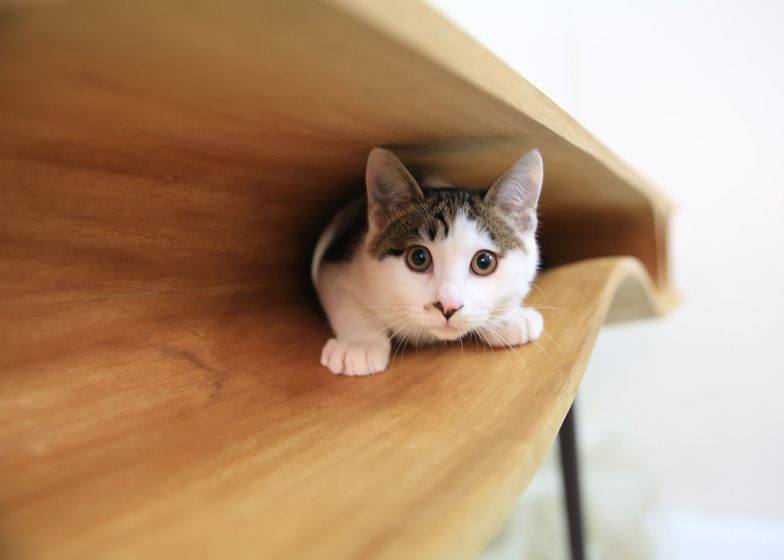 Milan 2014: holes and tunnels in the top of this wooden desk by Hong Kong-based designer Hao Ruan of LYCS Architecture have been designed to provide a playground for cats (+ slideshow). 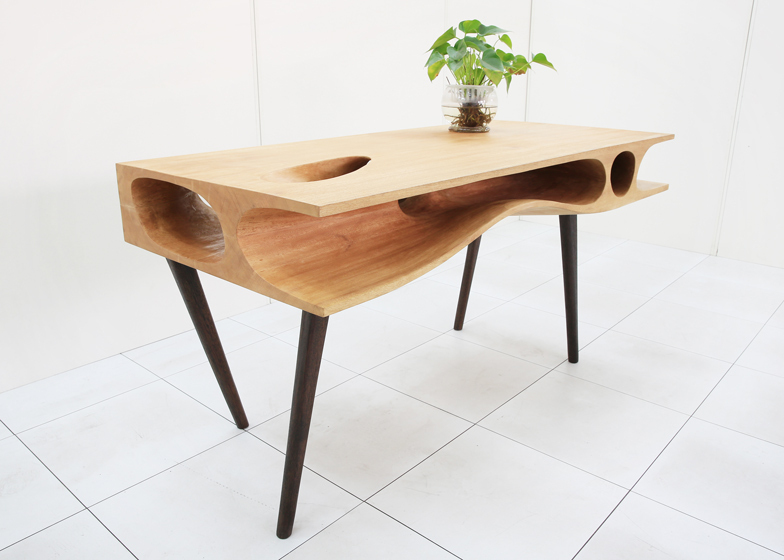 The table also features angled wooden legs that have been stained with a darker pigment. 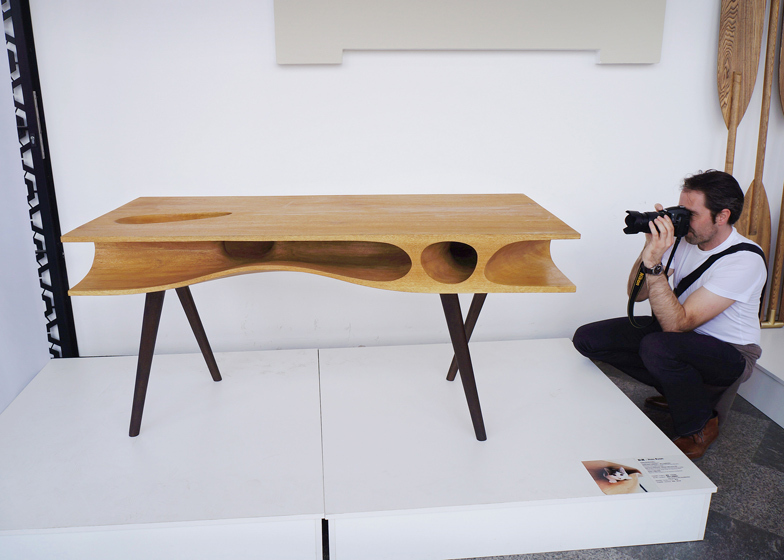 It was shown in an exhibition at Milan University as part of Milan design week. 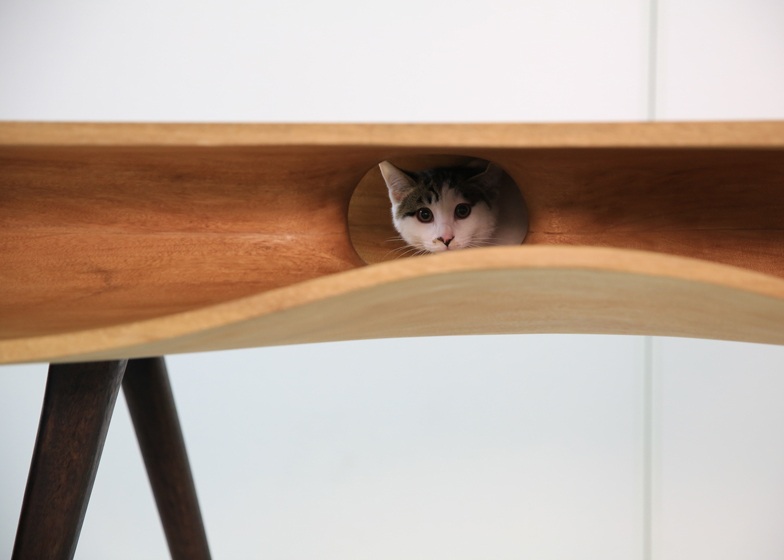 Ruan's creation is the latest case of a designer offering a response to a perceived demand for animal-orientated furniture. 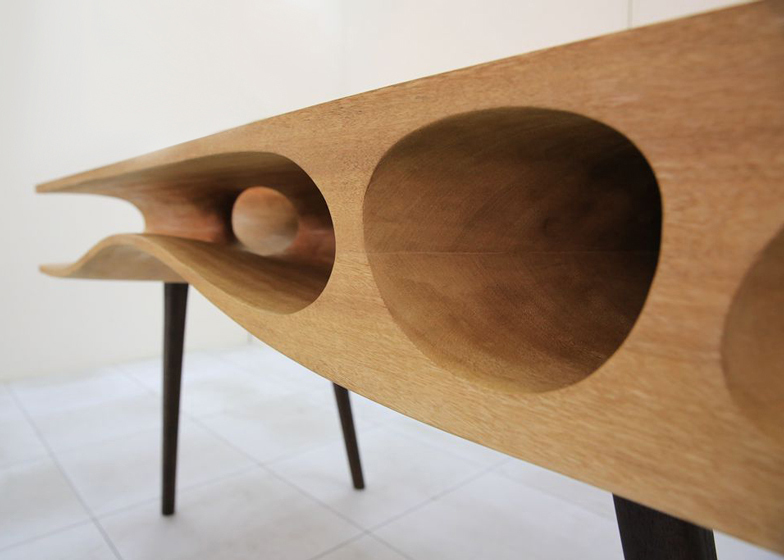 Previous examples include the Architecture for Dogs project curated by Muji's creative director Kenya Hara, who commissioned a series of well-known architects and designers to create downloadable templates for dog kennels. 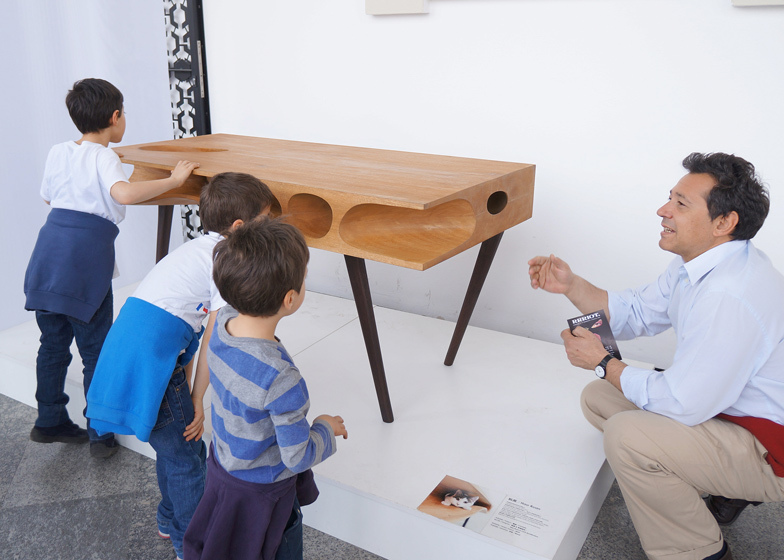 Contributors including Toyo Ito, MVRDV, Shigeru Ban and Konstantin Grcic were tasked with creating solutions that altered the way people interacted with their dogs. 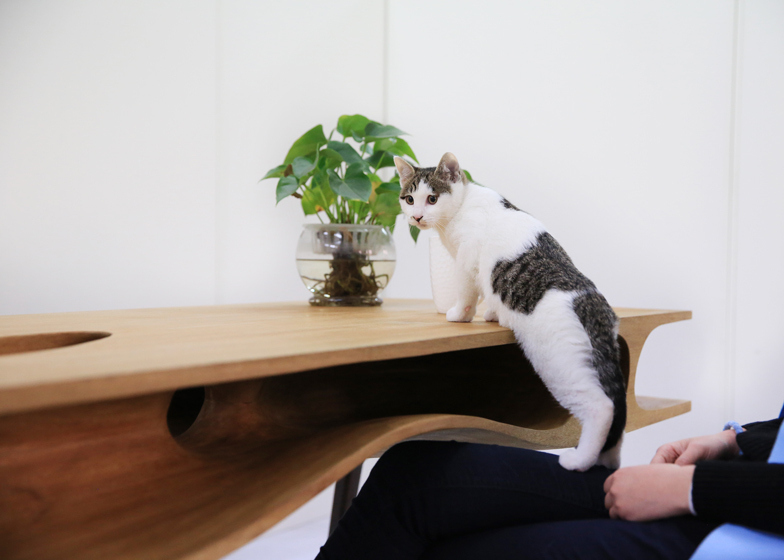 Update: CaTable has now gone into production and is available to purchase.